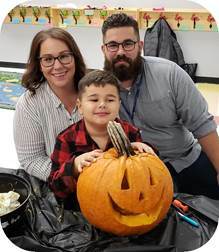 The Hal Welsh East Area Family YMCA offers licensed School-Age Childcare (SACC) programs throughout the school year for the East Syracuse-Minoa and Fayetteville-Manlius school districts, as well as Immaculate Conception School. The SACC Fun Club program reinforces positive values in a caring atmosphere. Children build confidence, trust and positive values by making friends and taking part in group projects and activities where fair play, team work and responsibility are emphasized. Care is also available on half days, vacation days and snow days. The SACC Before-School Program begins at 6:30 am and runs until the school buses arrive. Our morning routine consists of a light breakfast and casual activities. The SACC After-School Program is a place for school-age children to participate in activities that are physically, emotionally, and educationally valuable. The program includes academic assistance, physical activities, swimming, arts and crafts, science, and character development. A nutritious snack is provided daily. We are proud to partner with Immaculate Conception School and the East Syracuse-Minoa school district to provide after school childcare in school buildings. Our programs provide planned activities that are fun, engaging, and developmentally appropriate for all of our program participants. The programs include academic assistance, gym games, outdoor play, arts and crafts, science activities and character development. A nutritious snack is provided daily. Care is also available on half days, vacation days and snow days. 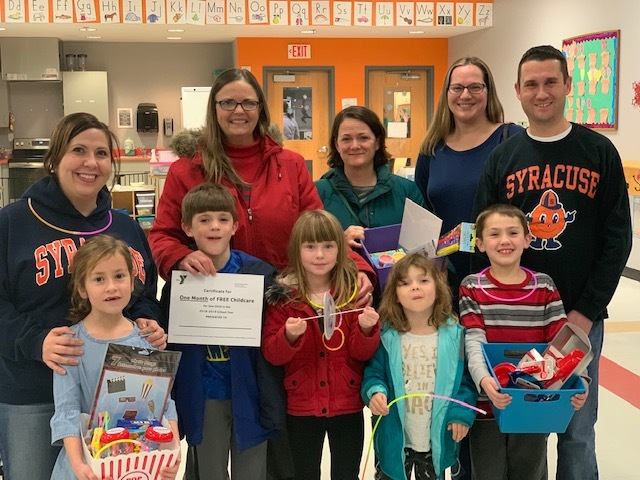 Our YMCA Childcare & Learning Center in collaboration with Dewitt Community Church focuses on Preschool (3's & 4's) along with Before and After School care for the Jamesville- Dewitt School District. You can sign up for a lesson at our membership desk. A lessons permission slip must be filled out prior to the beginning of lessons for your child(ren) to be brought to and from a lesson. Registration is on a first come first serve basis. Space is limited. If you have any questions or to check availability, please contact Amber Shannon, Senior Program Director of Childcare.